C8 Corvette Forum > 2018+ Chevy C8 Corvette Tech Section > Exterior and Interior > C8 to get a targa roof? C8 to get a targa roof? 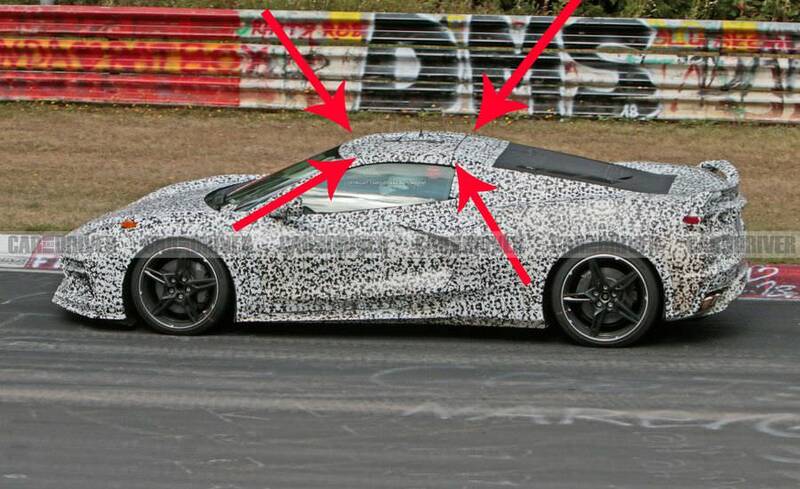 With new spy photos dropping every week, it looks like some new ones may indicate a removeable top for the new C8. Almost every Corvette coupe since the Stingray has seen some kind of convertible roof, whether this be T tops or full targa panels. If this does end up being the case, the chances of an actual convertible variant are pretty slim. I always liked how Porsche did it with a "targa" name plate on the c-pillar. In this case Chevy should place a badge unique to the C8. Subtle details do make a difference! Considering the length of the C8, I don't think it would have been possible to make it convertible in the first place. I think this is a great alternative and hopefully there is proper storage for the panels behind the seats. weight is a big issues and there's no doubt a targa top will allow them to not add unnecessary components and functions but a Cadillac version should get it. They should be pulling out all the stops for this mid engine vet, as its basically a miracle that its actually coming to production. Options like this can help to justify the steep price tag that we are probably going to see. The difference between a targa and t top is so minor, that I really don't think it makes a difference. So long as we see a convertible option of some kind, it will be welcomed. I think it does make a difference when it means giving the Corvette community what they haven't had in many years, finally we can have that opportunity. I don't remember the last new car that debuted with a t top, so I think its unlikely. I believe the last f-body Camaro and Firebird/Trans Am in 2002 was the end of the t top. my only concern is how it'll impact this new vette's design, so far it seems to be the least accommodating.